Many people whose work is all about service to the greater good have a hard time with selling. They don’t want to be perceived as pushy, manipulative or obnoxious. My husband, Jesse Koren, and I felt the same way when we first started our coaching and acupuncture practices. So we had to find a way to sell without losing our integrity. Fortunately, we got a “Divine Download” of our signature Heartselling™ system that helped us grow our own private practices and then led us to over $10M in sales by teaching others this same system. When you use Heartselling™ in your conversations with potential clients, they will talk themselves into working with you, if it’s a good match. 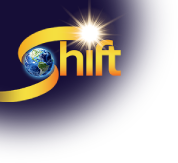 I’ll be sharing more about this system during my interview with Stephen for the Enlightened Business Summit. For now, I want you to understand what Heartselling™ is all about. Chinese Medicine and Feng Shui use the lens of the 5 Elements to review how everything around us is either in balance or out of balance. The 5 Elements was the focus of my training as an acupuncturist. So when I was first learning how to have conversations with potential clients, I couldn’t help but create a framework around selling that fit within the model of the 5 Elements. When you master the 5 Elements of Heartselling™, you’ve got a heart-centered formula to have amazing conversations with potential clients and quickly increase your income. The 5 Elements are the foundation of Heartselling™. And what makes Heartselling™ different from any other sales training out there is that it is a holistic model. It isn’t full of techniques and gimmicks, instead it’s about showing up with heart and integrity in every conversation you have with a potential client. The 5 Elements are Fire, Earth, Metal, Water, and Wood. And we human beings are made up of all 5 Elements, reflecting the wisdom and beauty of nature. The Heartselling™ Model is made up of the same 5 Elements. In Chinese Medicine, when any of the Elements are out of balance, your health suffers. The same is true with Heartselling™. If you’re missing one of the Elements or you’re out of balance, the conversation falls flat and you usually won’t get the client or a referral. Worse than that, your potential client may have left the conversation thinking you were pushy or salesy. However, when all 5 Elements are present, chances are your potential clients will say “YES!” to your services, if it’s a match. Jesse and I teach the 5 Elements during our Client Attraction Summit in a way that you will embody each of the Elements and can start getting new clients immediately. In the meantime, I’ll go through how each of the 5 Elements works in a Heartselling™ conversation during my Enlightened Business Summit interview with Stephen on October 10. I hope to “see” you there!